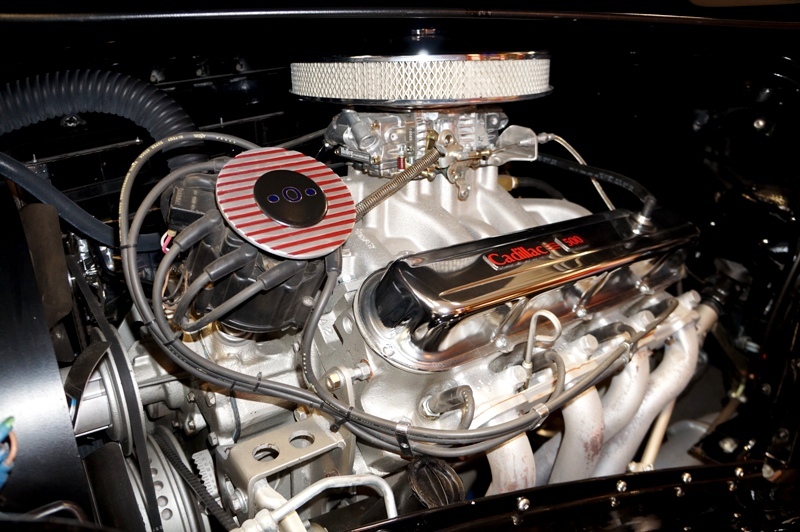 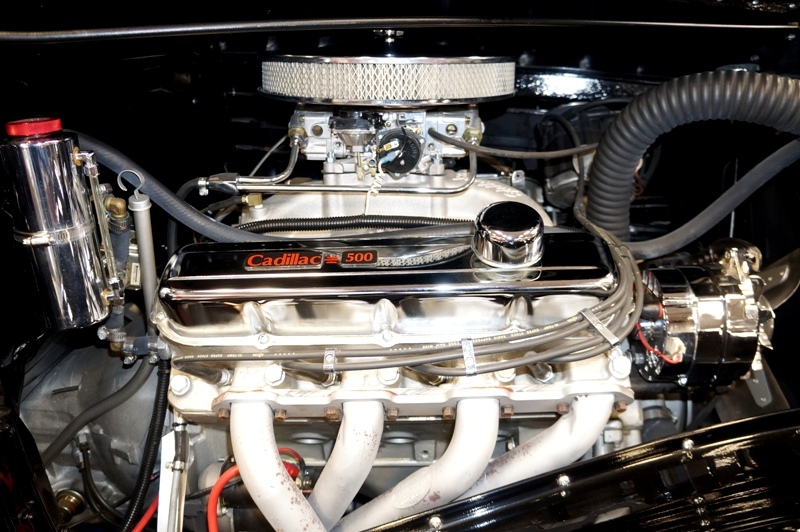 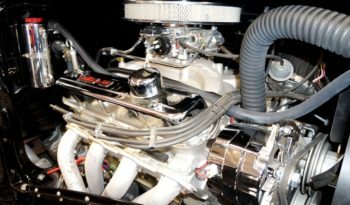 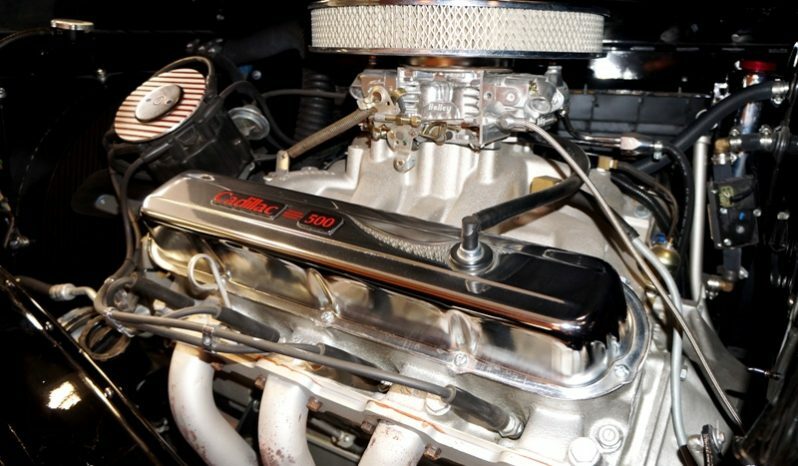 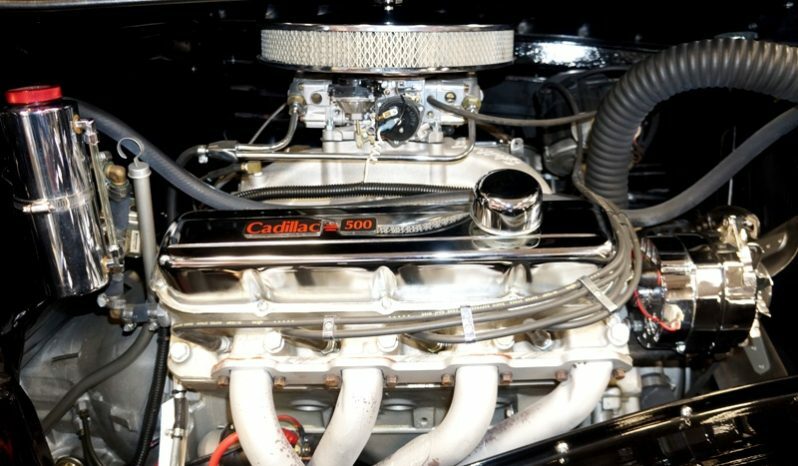 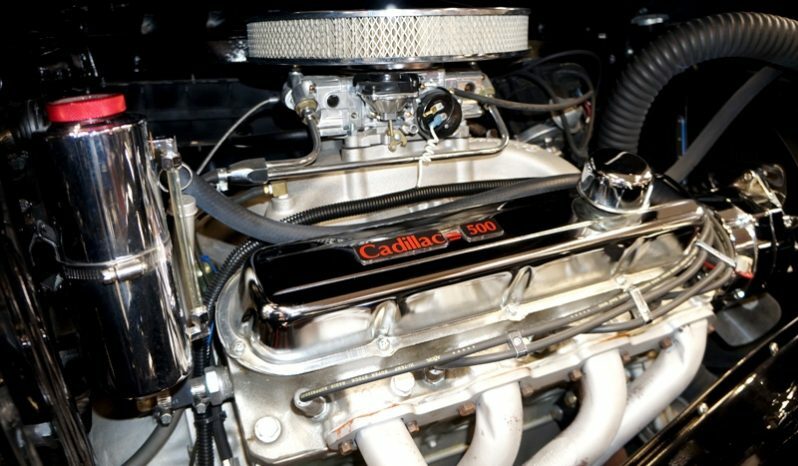 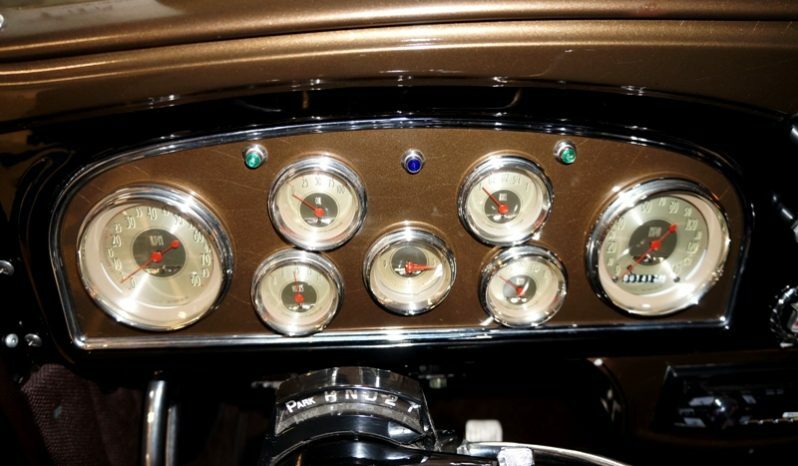 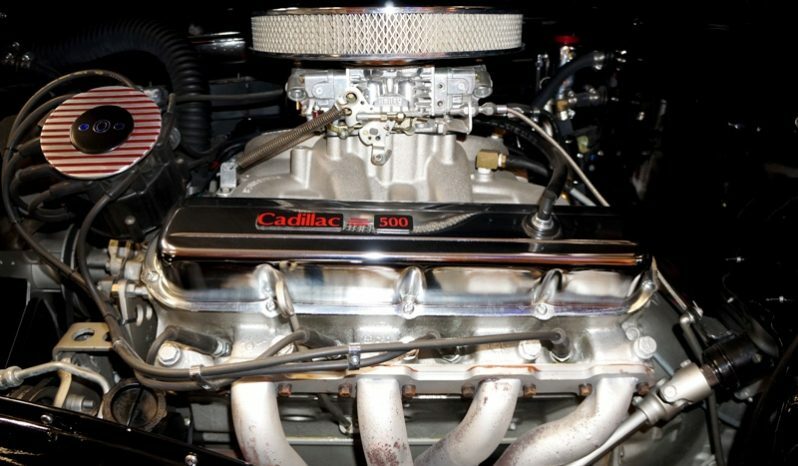 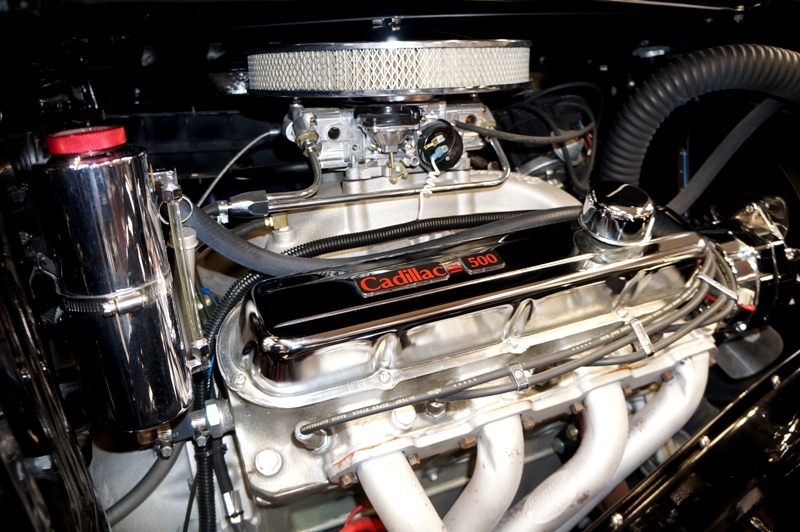 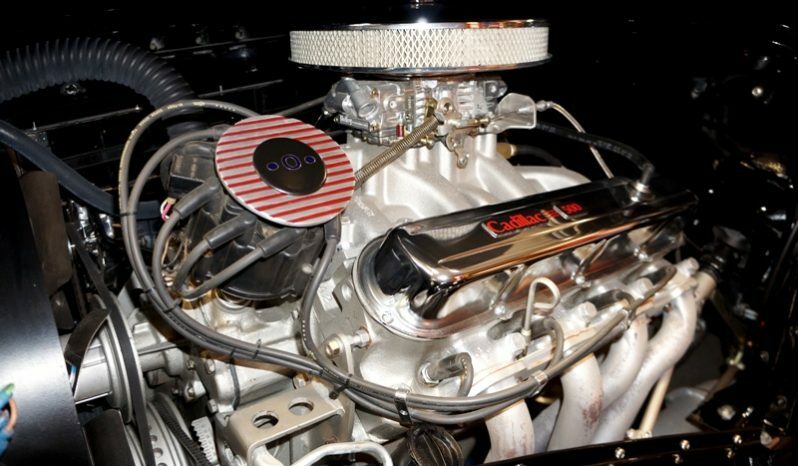 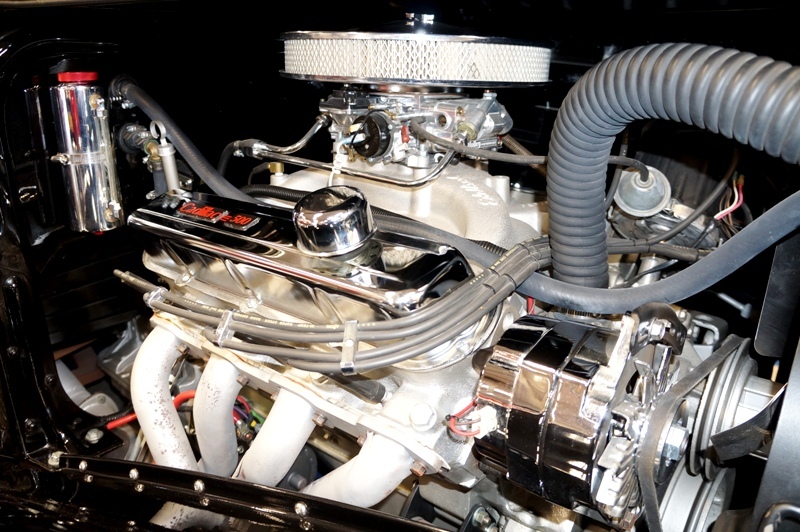 Cadillac 500 cui motor with Comp Cam, Edelbrock intake, and Holley carburetor. 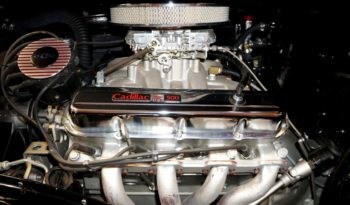 Turbo 400 Automatic transmission. 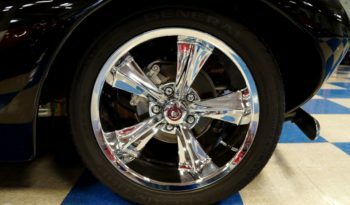 10 bolt rear end with 3.08 posi trac gears. 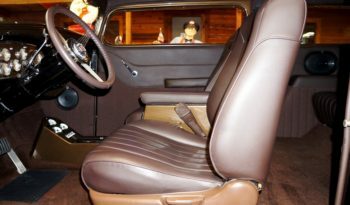 Painted in PPG Omni single stage Black. 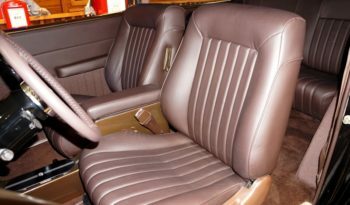 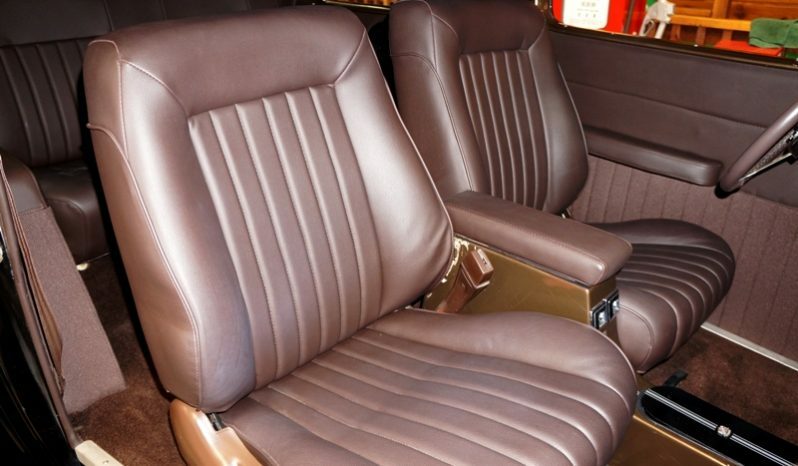 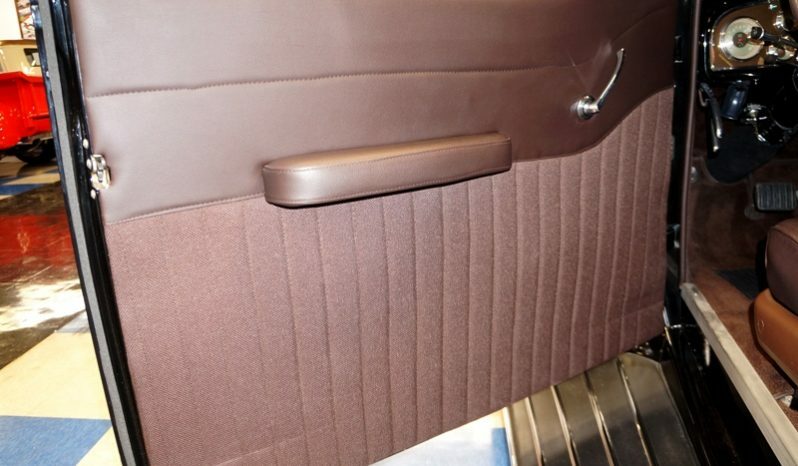 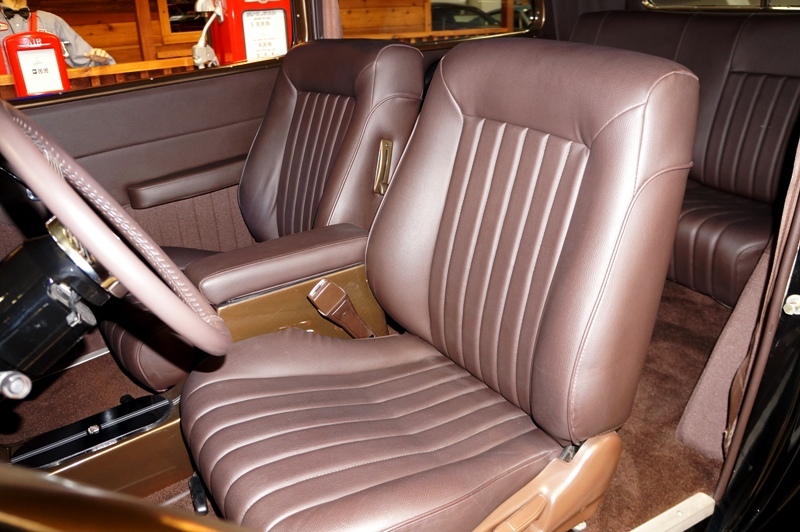 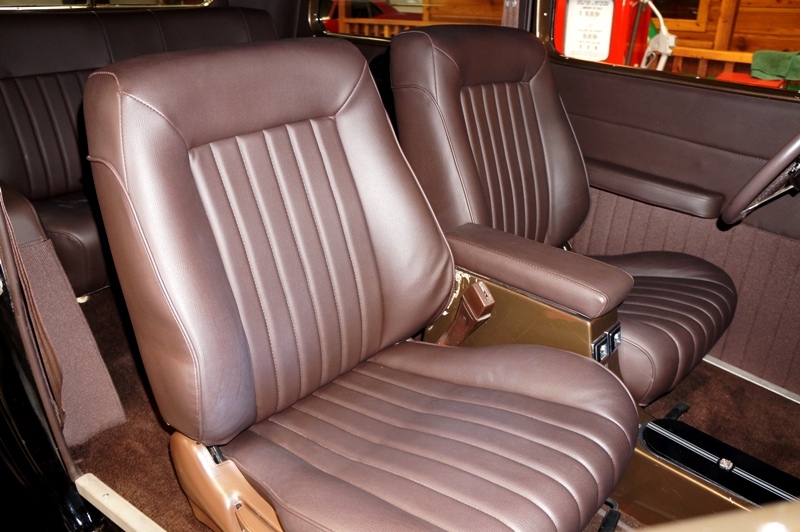 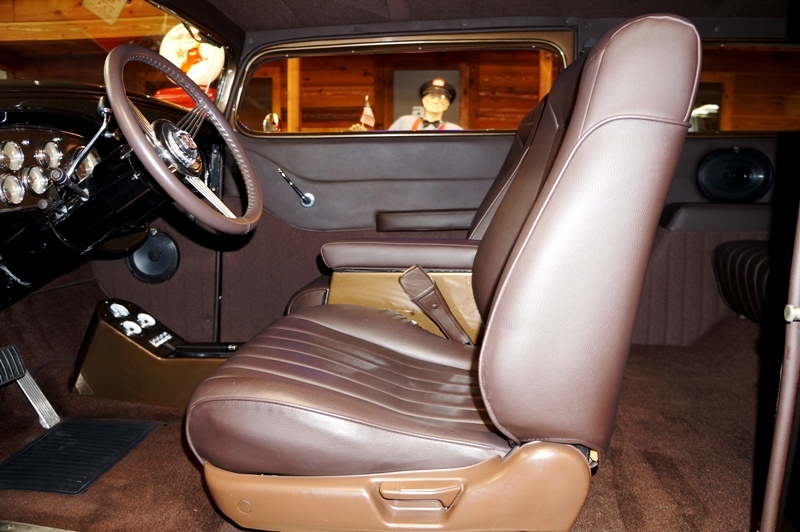 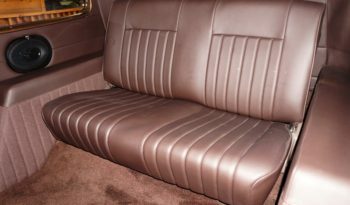 Custom bucket seat interior with console finish out. 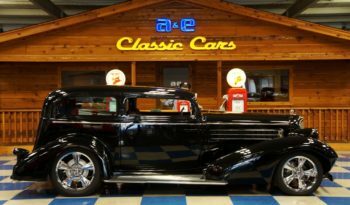 GM G body front clip with tubular A-arms. 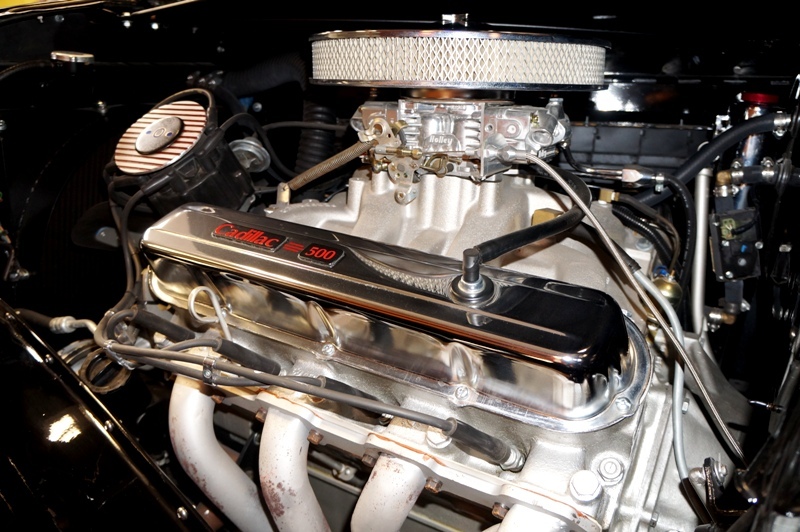 ’93 Explorer Rack & Pinion steering. 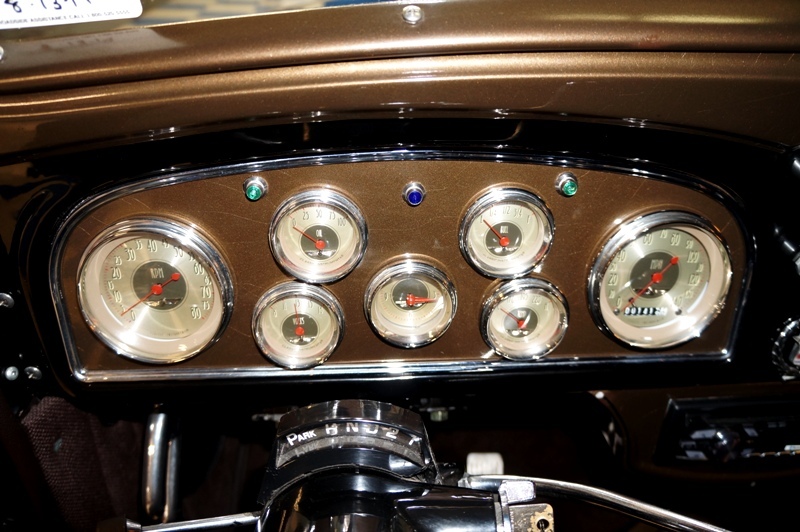 4 link rear suspension. 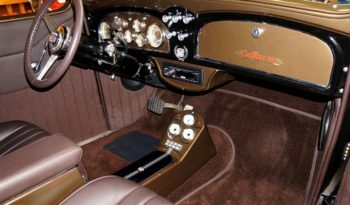 All riding on 4 wheel Air Ride set-up. 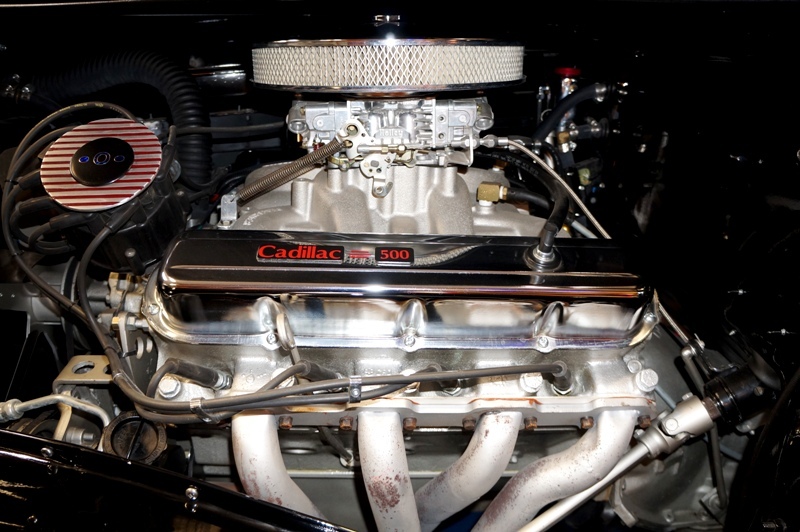 Full length headers with Superflow 3” dual exhaust. 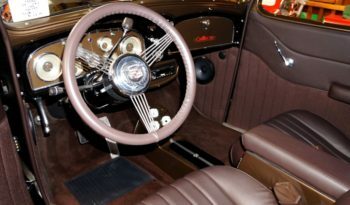 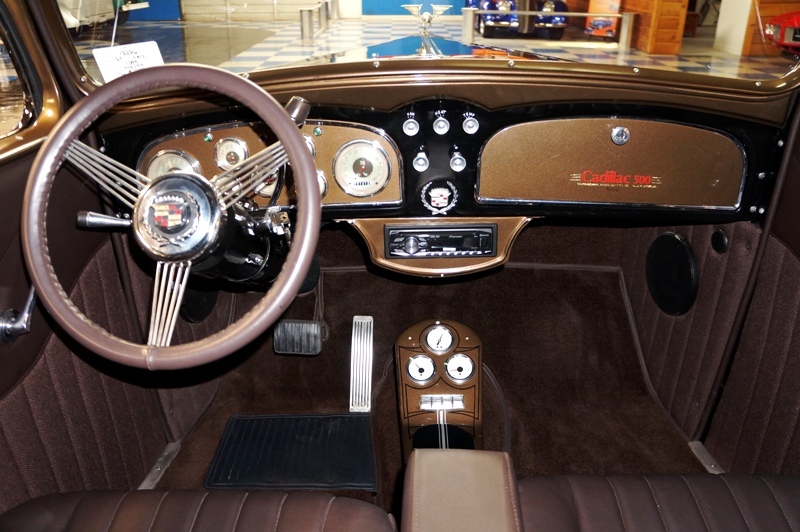 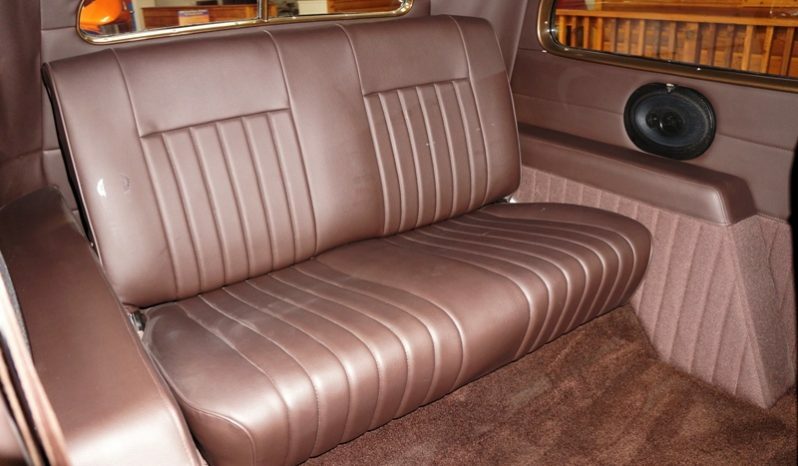 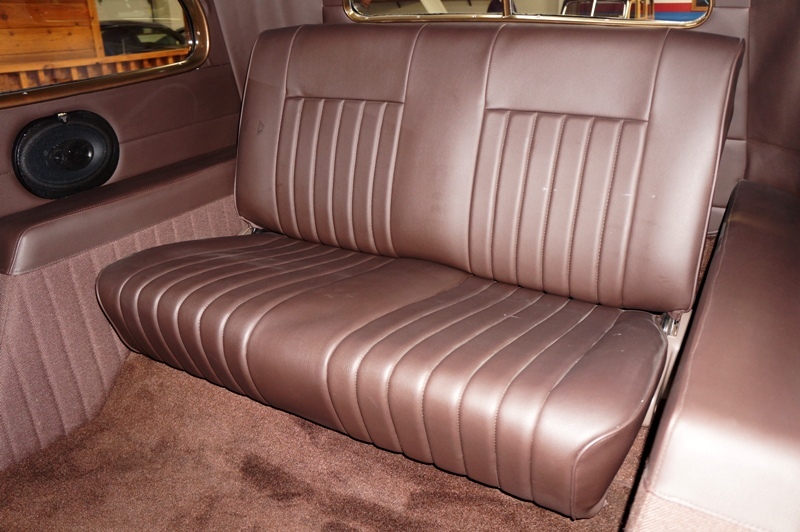 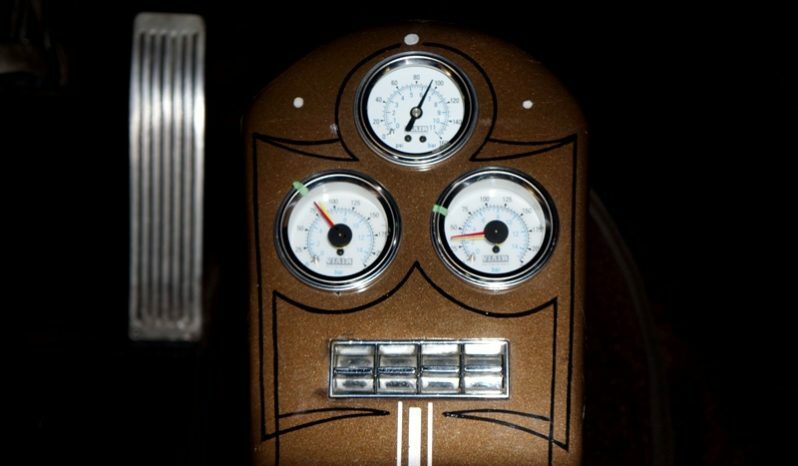 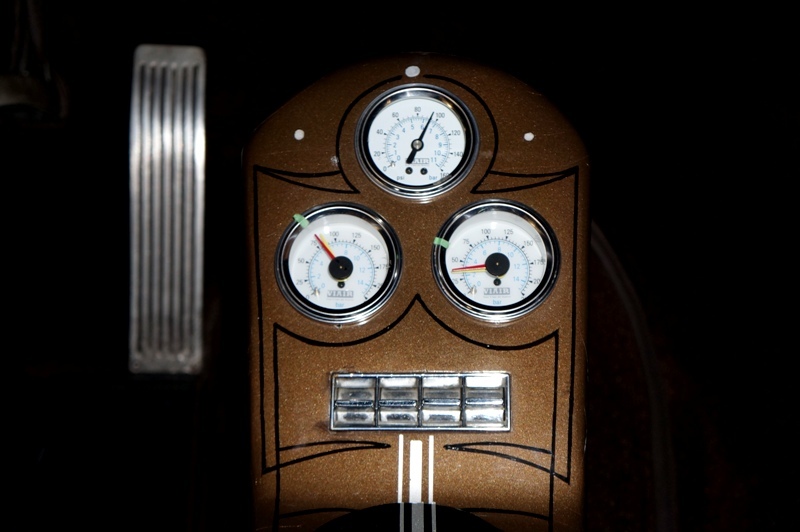 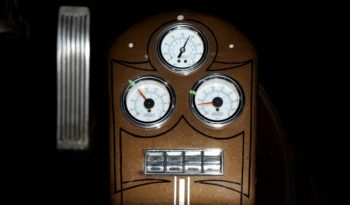 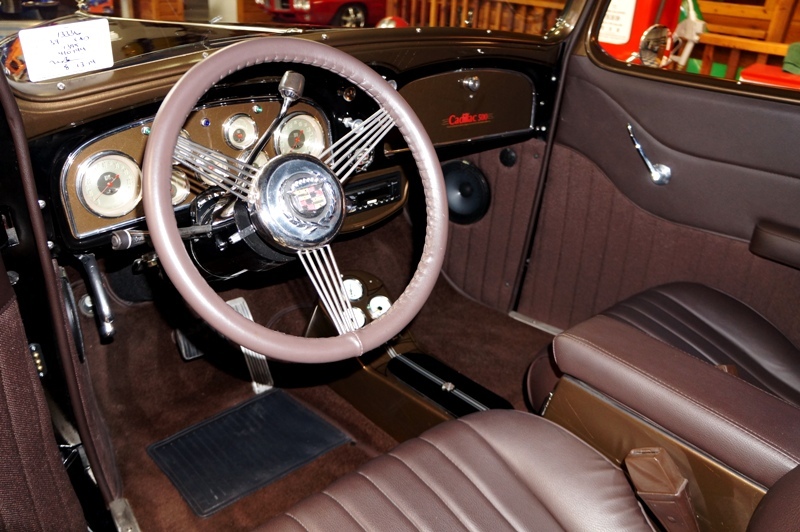 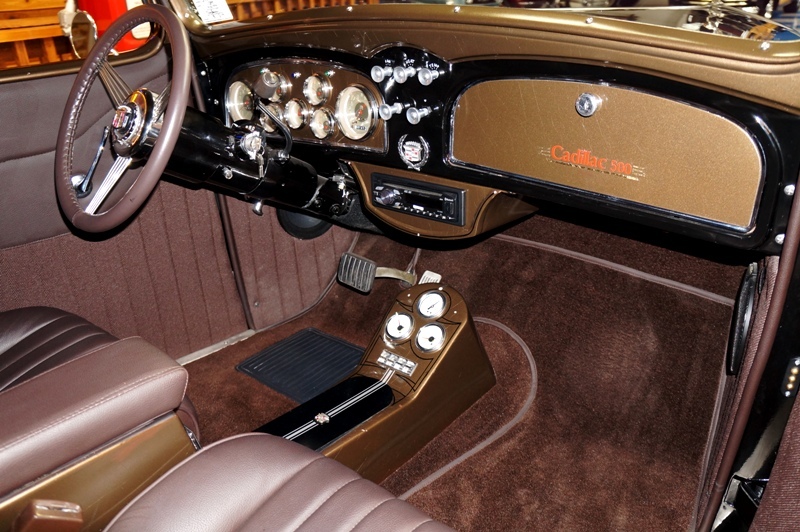 ’76 Cadillac tilt / telescoping steering column with Grant Banjo style Leather wrapped steering wheel. 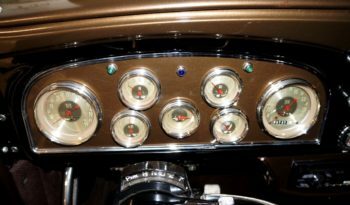 Classic Instruments AMerican Nickel gauge package. 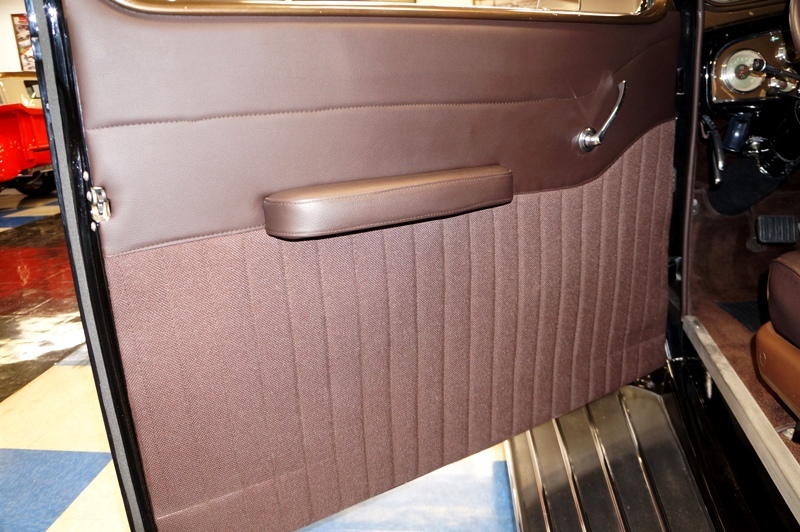 Autoloc power windows. 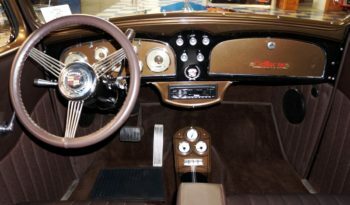 Pioneer AM/FM/CD stereo with JL Audio speakers. 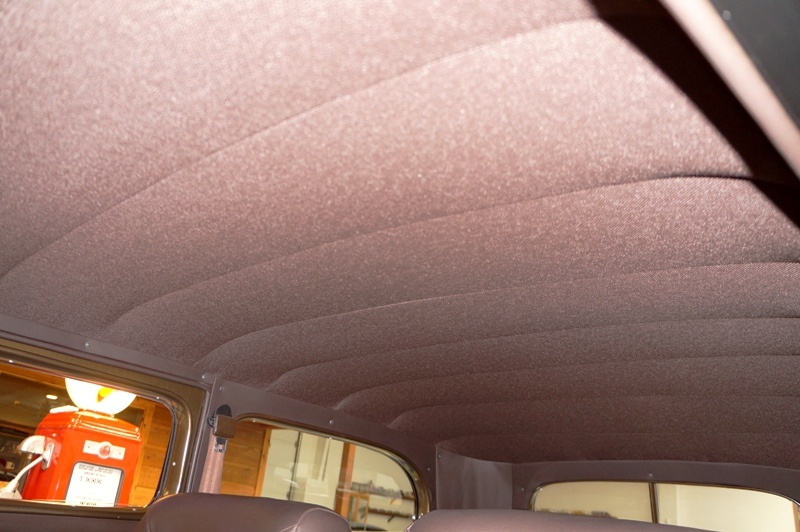 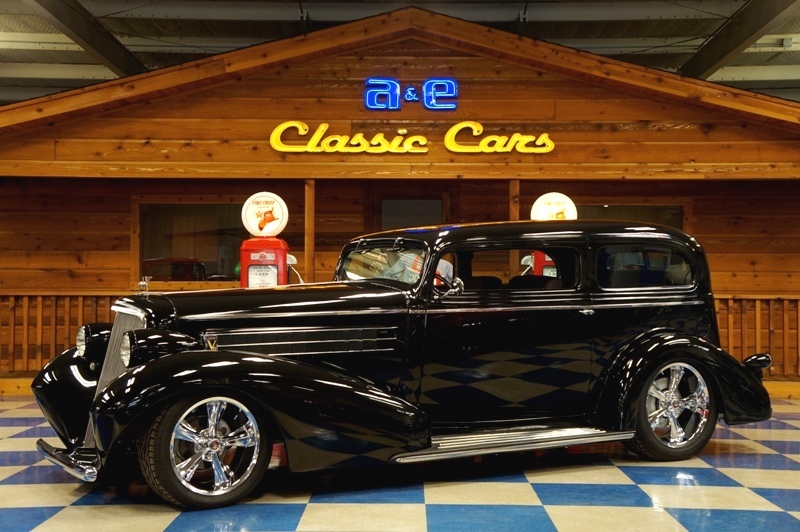 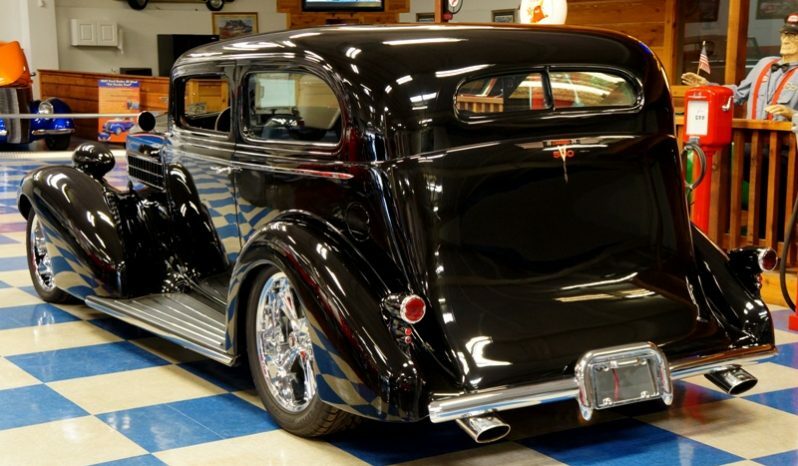 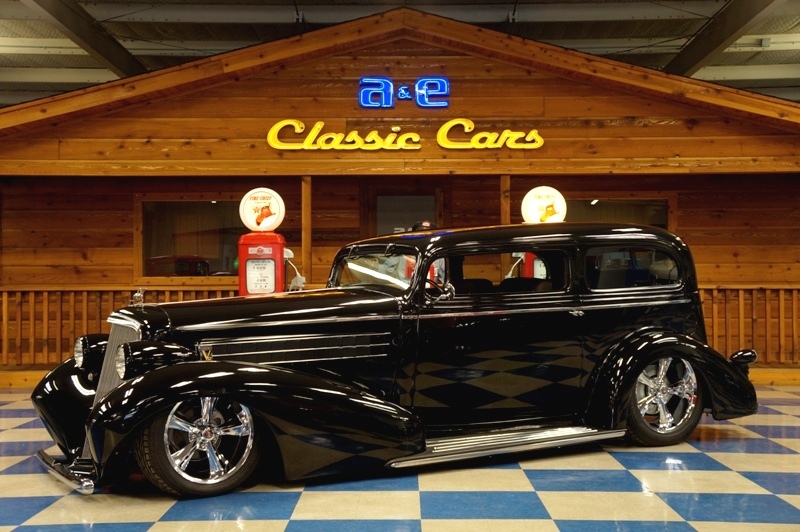 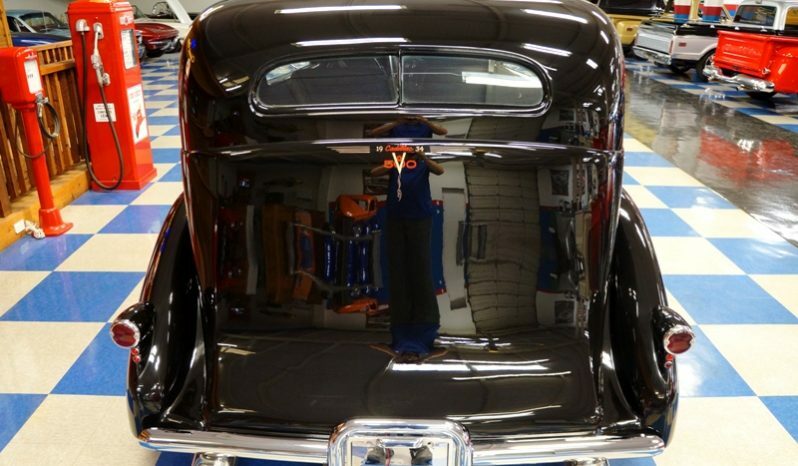 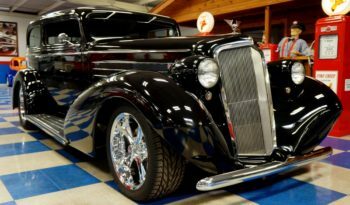 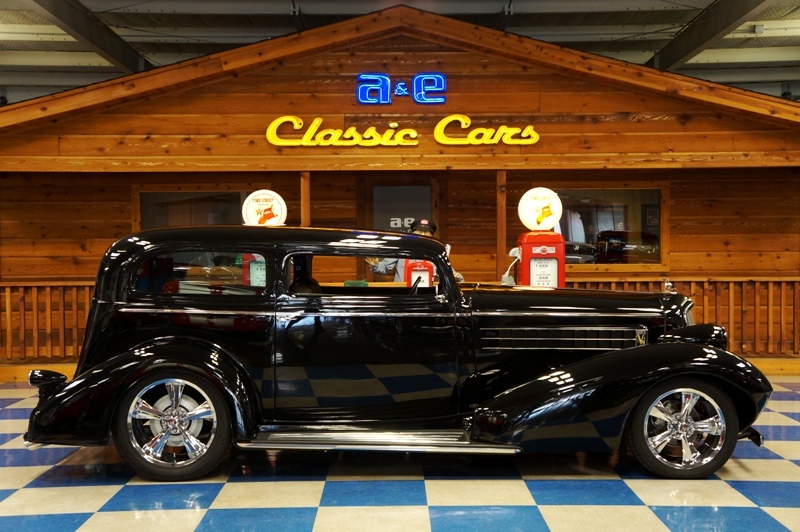 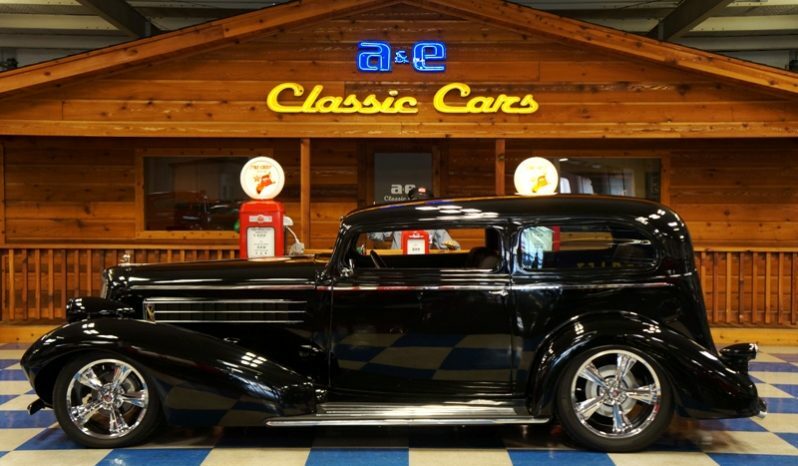 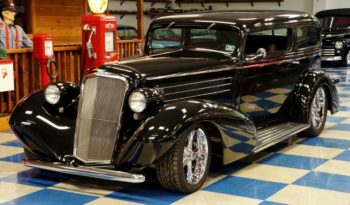 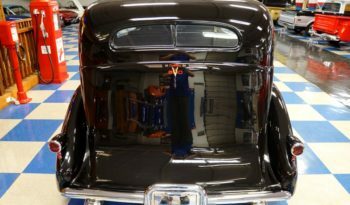 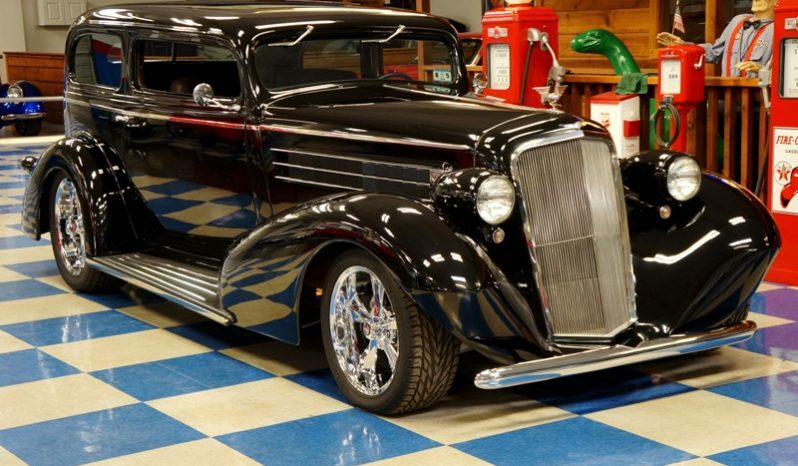 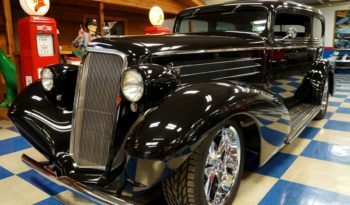 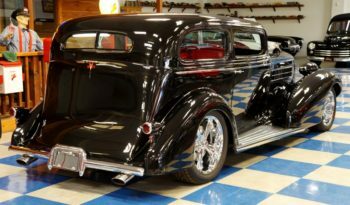 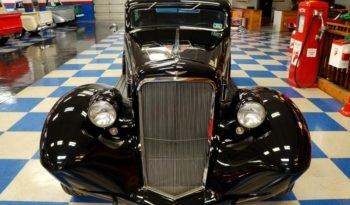 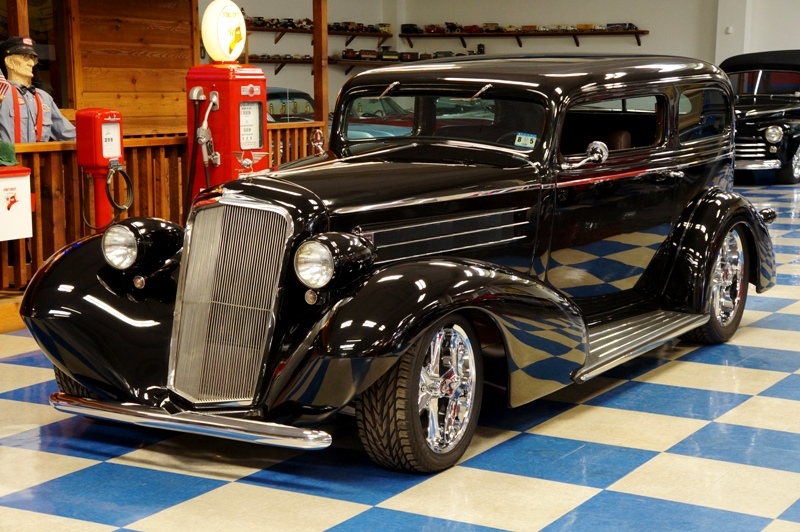 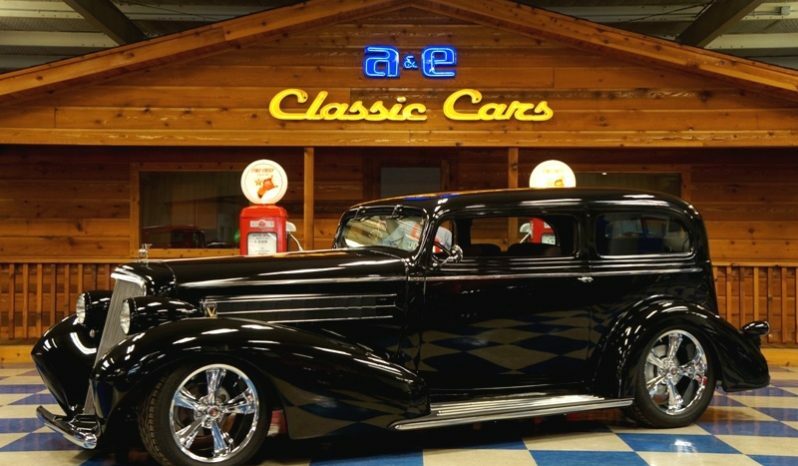 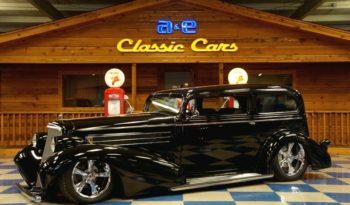 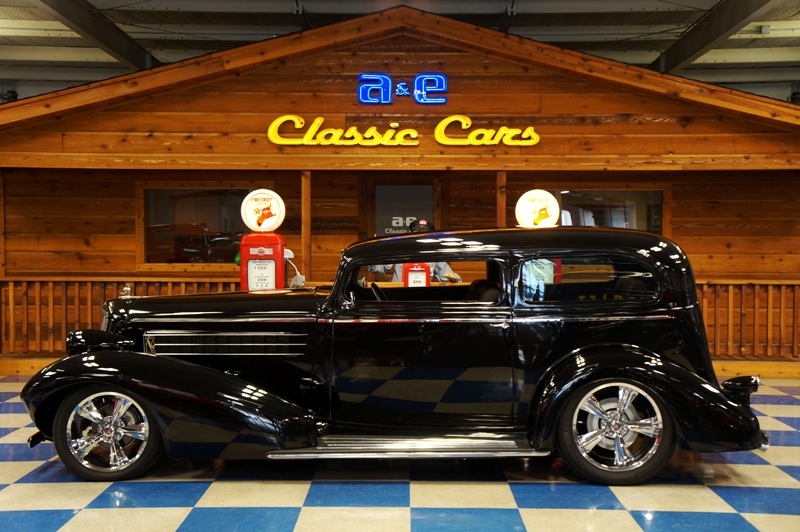 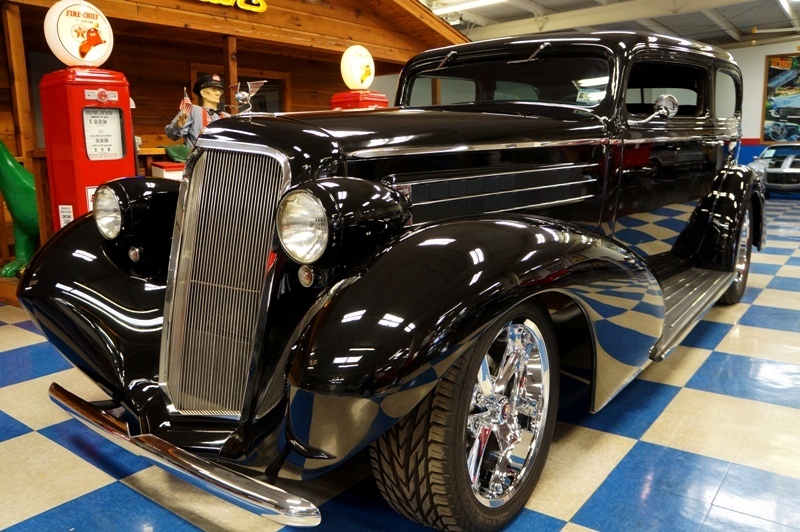 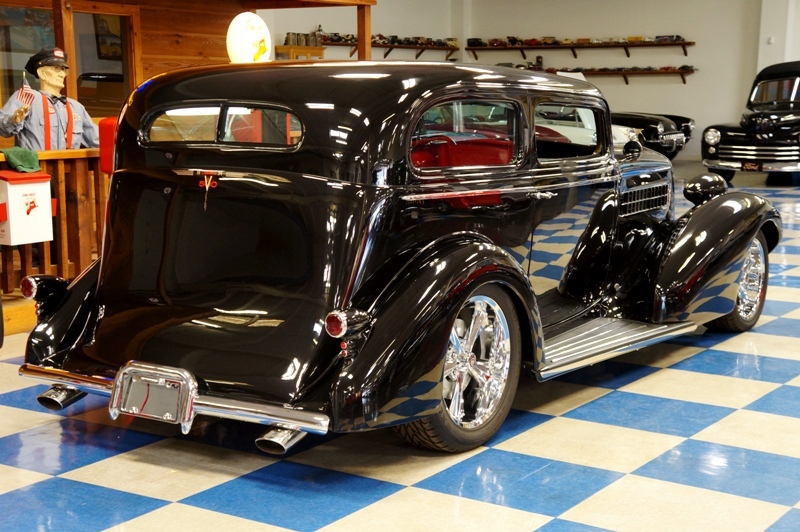 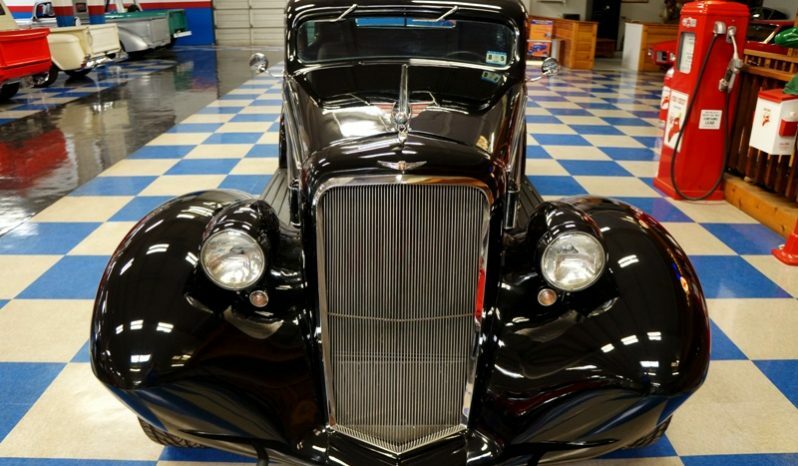 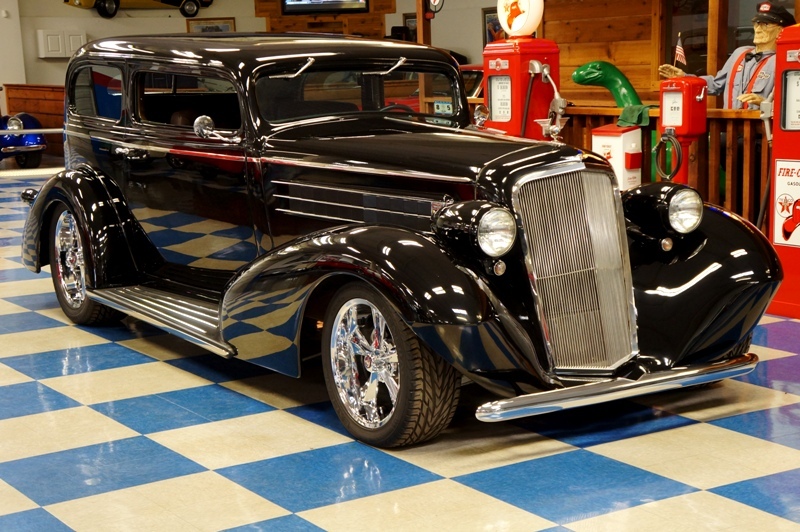 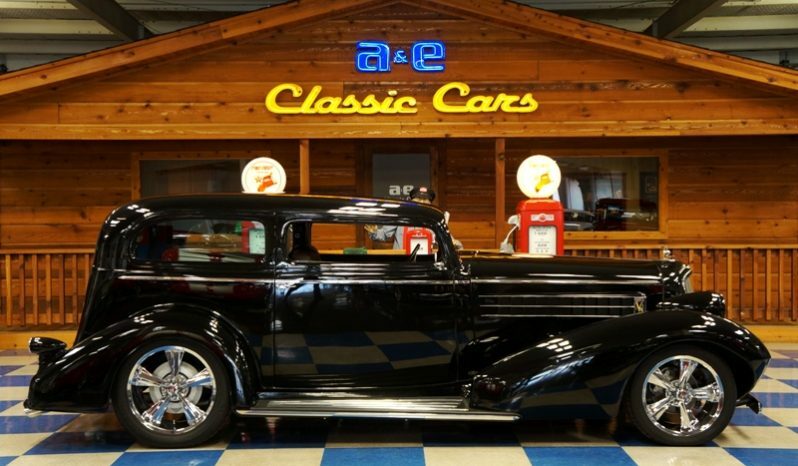 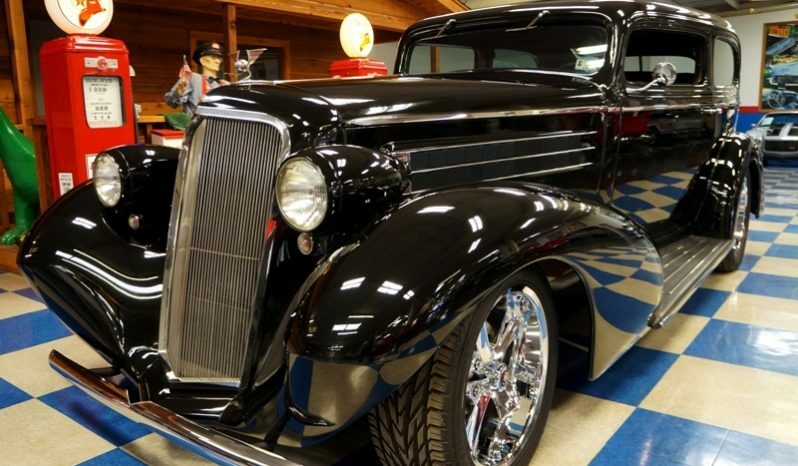 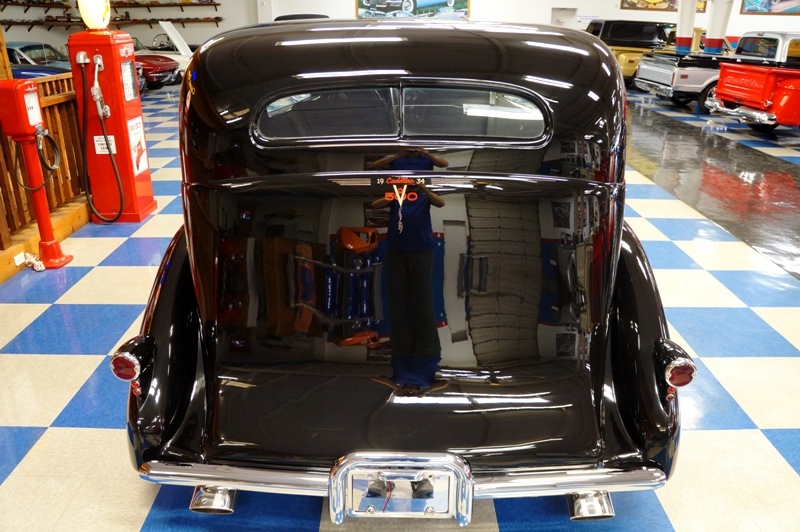 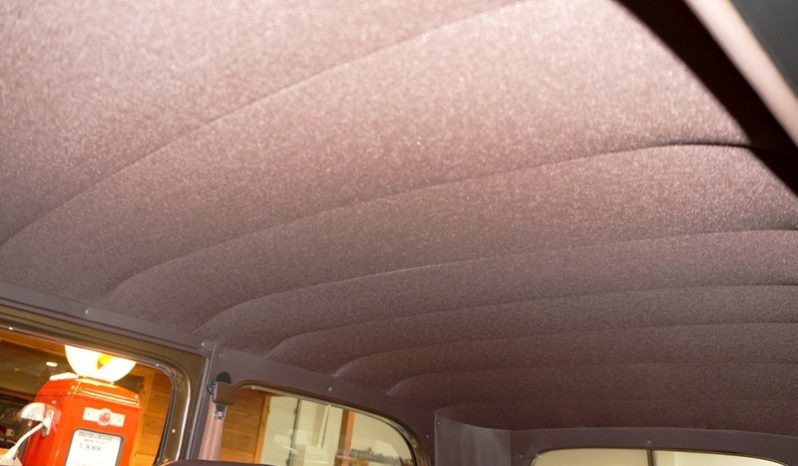 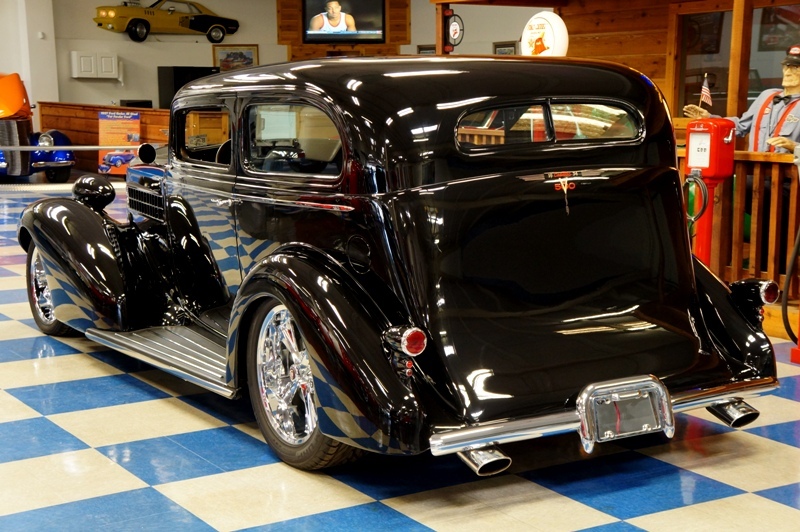 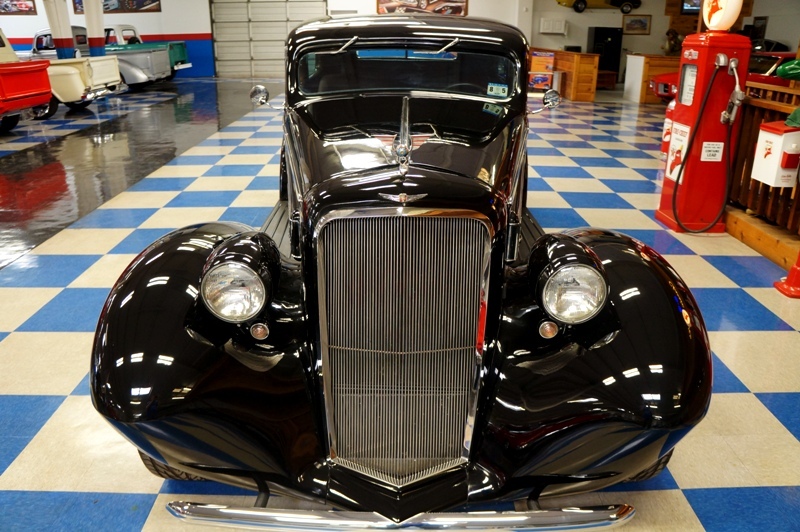 One off complete restoration with many custom finish out to include: Originally 4dr 500D Touring Sedan vehicle converted to 2 dr by lengthening doors 6”, shortened body 12”, and chopped roof 3”. 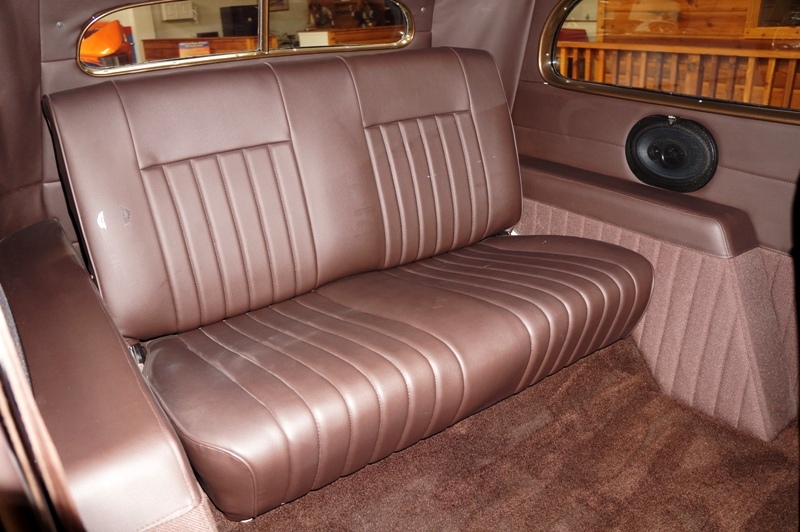 Wood structure removed and replaced with new steel tubing. Custom grille, bumpers, running boards, and stainless trim. Top of roof filled with section of a ’93 Lincoln Town Car. 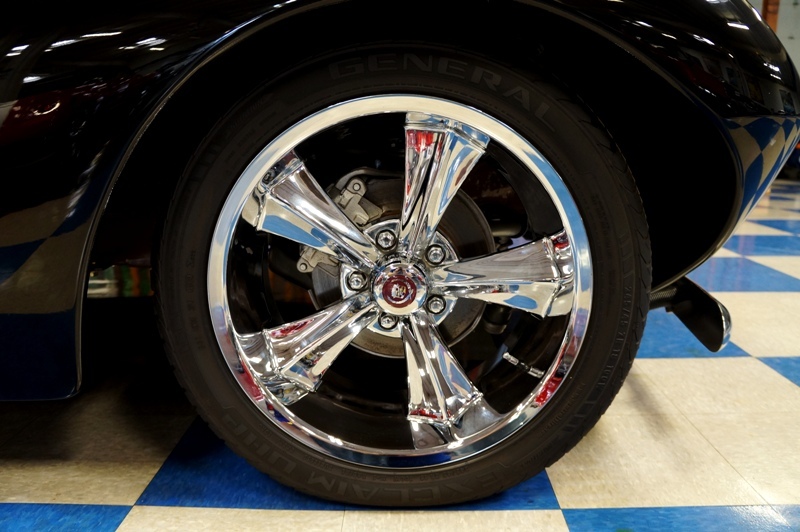 20” Front / 18” Rear Rocket wheels. 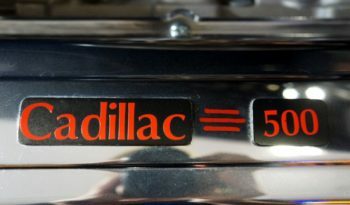 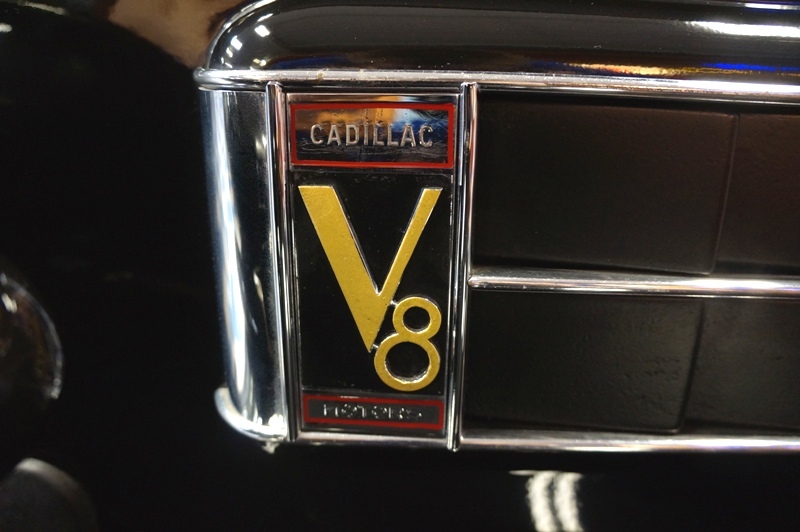 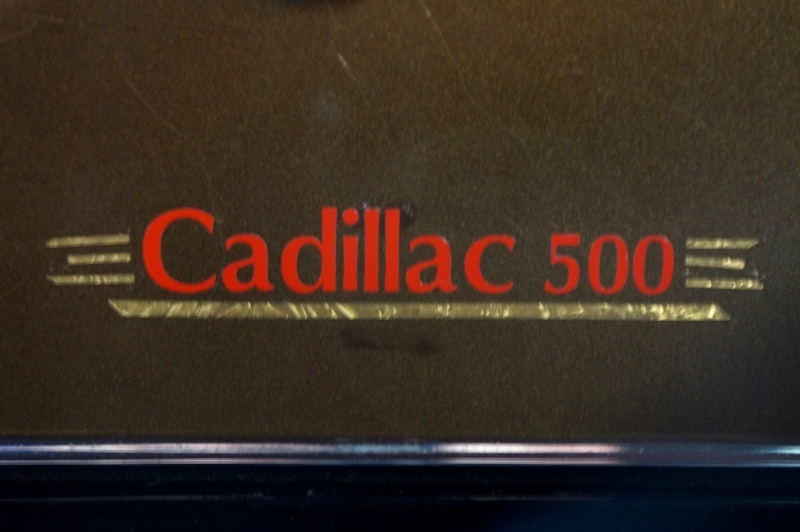 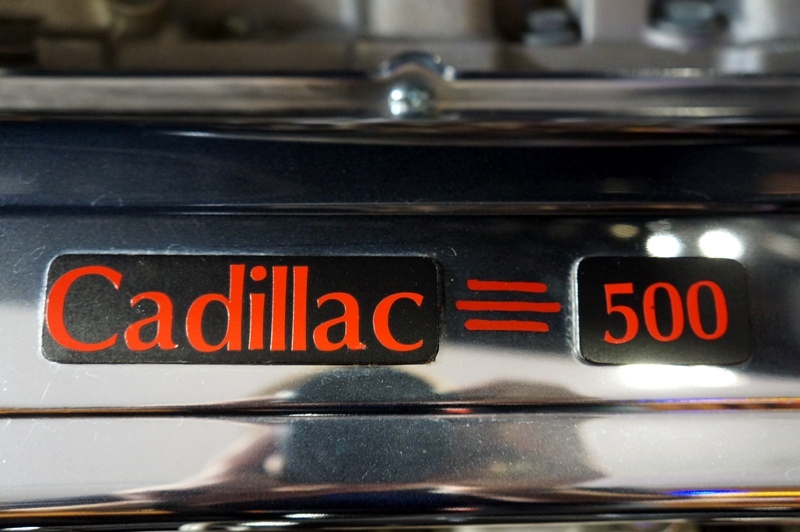 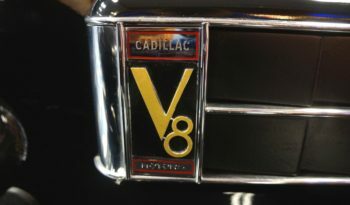 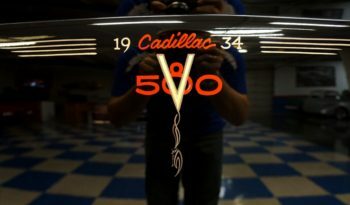 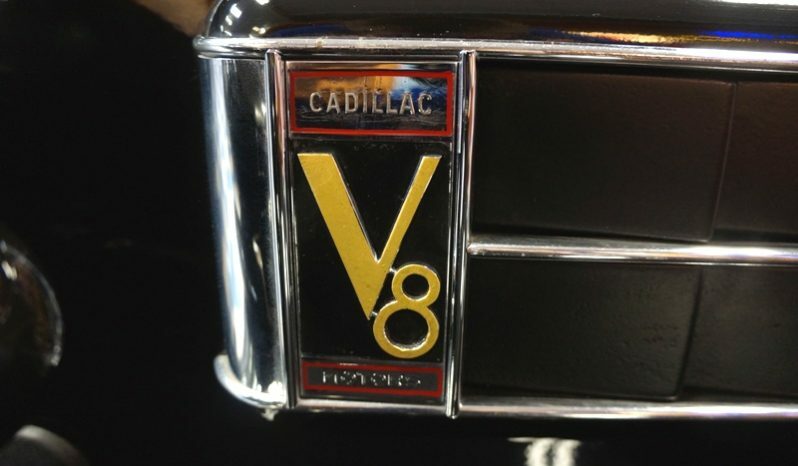 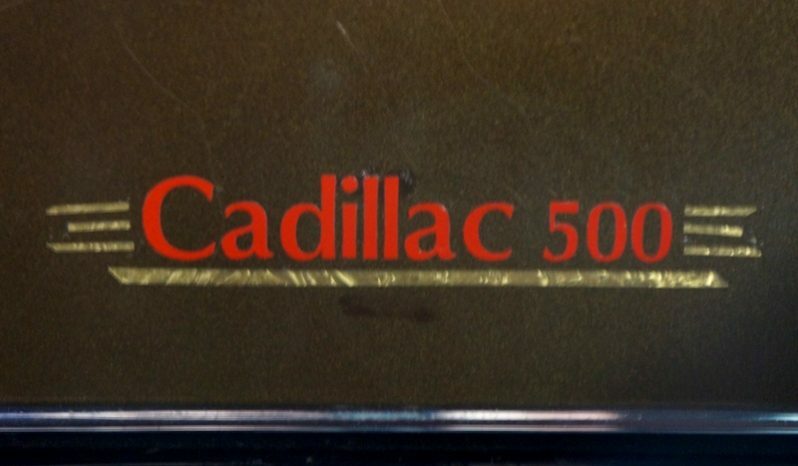 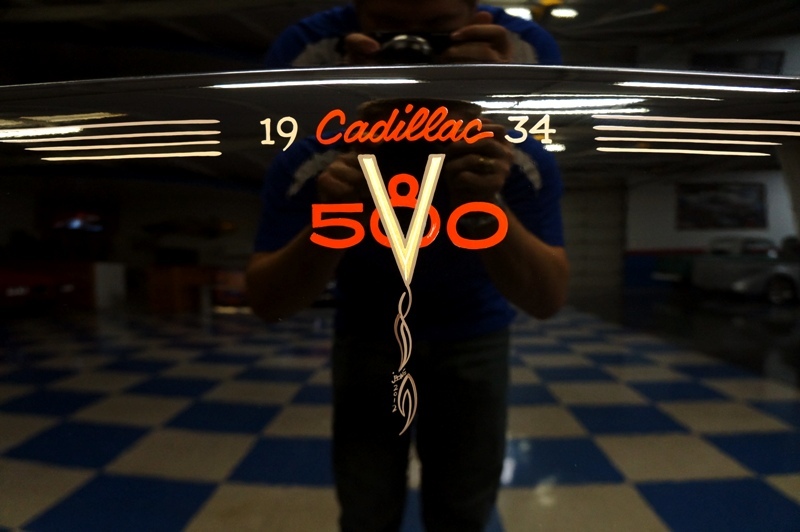 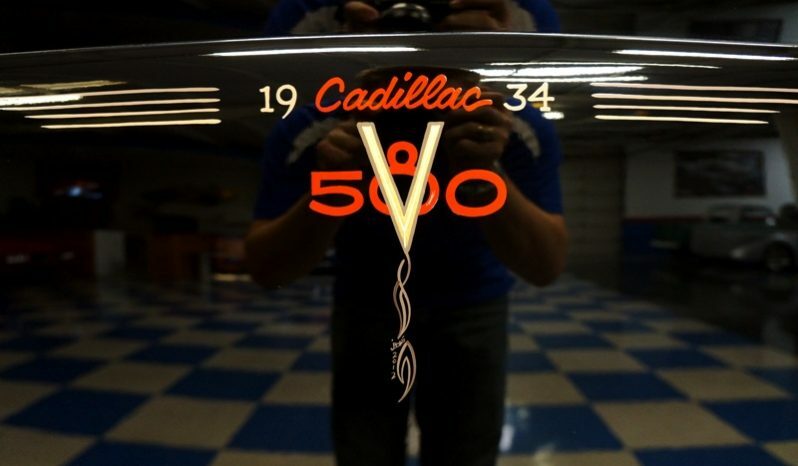 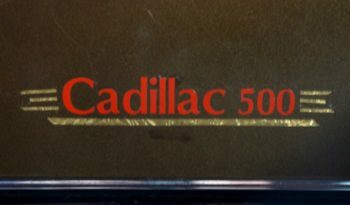 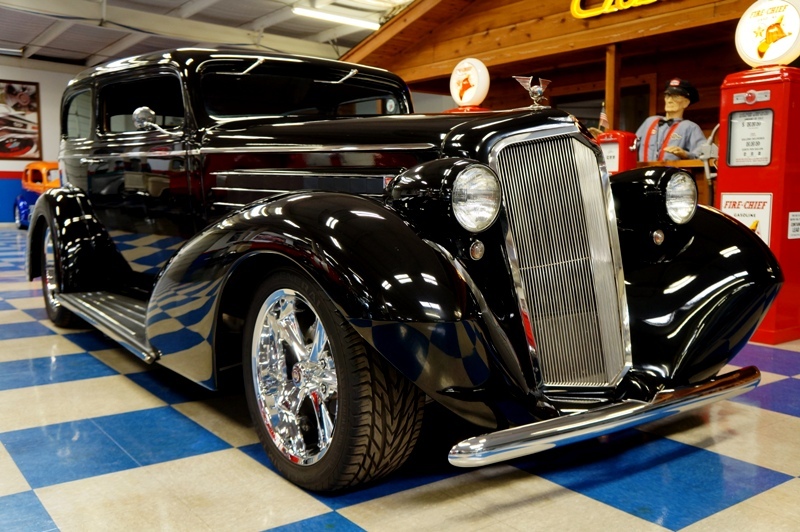 Definitely one of a kind and never to be seen anywhere else Cadillac.